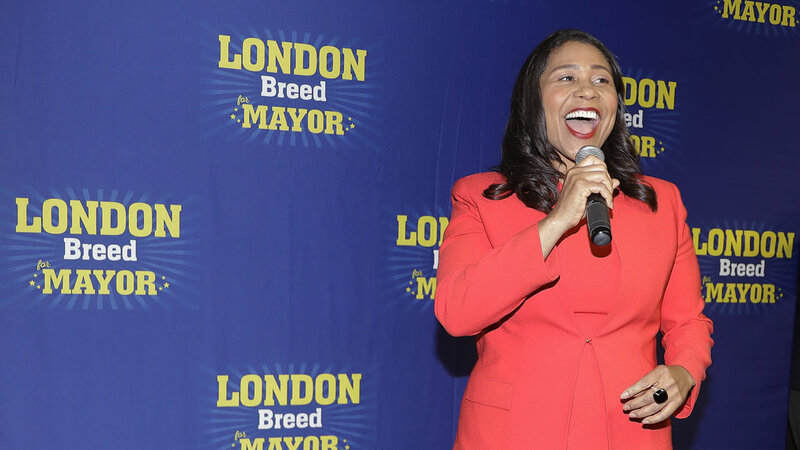 SAN FRANCISCO -- Board of Supervisors President London Breed is surpassing former state Sen. Mark Leno by 498 votes in San Francisco's mayoral race, according to numbers released this afternoon. Breed currently has 94,771 votes at 50.13 percent, while Leno has 94,273 votes at 49.87 percent. Friday's tally showed Leno at the lead with 50.04 percent of the vote or 83,667 votes. Breed had 49.96 percent of the vote, or 83,523 votes, but jumped to the lead today. The Election Department is still processing about 42,000 ballots as of Saturday. The number is down from 64,900 on Friday and includes 28,000 vote-by-mail ballots and nearly 14,000 provisional ballots. Elections officials said the provisional ballots will not be counted until next week. The winner of the race will serve the remainder of the late Mayor Ed Lee's term, which runs through January 2020. Lee died unexpectedly in December.